RUSH: “Eight House Dems Break With Leadership On Wall Funding For The Wall.” This is at The Daily Caller. Yesterday the Democrat leadership introduced an amendment to legislation for supplemental funding for disasters. The amendment would specifically prohibit funding the border wall, but eight Democrats voted against the amendment. I bet you that they are from districts that Trump won. And I'll bet that you that there are many others, dozens more who are in the same boat, but you're not gonna realize how vulnerable they are. They don't yet anyways. Some of these Democrats say that they agree that there's some need for some element of a physical barrier in any package on border security. So while everybody thinks that Trump needs to cave and Trump needs to sue for peace, the fact of the matter is that there are beginning to be breaks on the left. And let's go to the audio sound bites. We're gonna start here with Steny Hoyer last night on Special Report with Bret Baier. Steny Hoyer is Pelosi's number 2 in the House. He's from Maryland. HOYER: I don't think this is an issue of morality. It's an issue of does it work. BAIER: So they work some places. HOYER: Obviously they work some places. There are all sorts of alternatives that we could pursue, I think, to come up with a consensus solution to achieve the objective I think we all want to achieve and that is a secure and safe border for our country and for our citizens. RUSH: Wait, wait. That's a Democrat you're listening to. A Democrat. “I think to come up with a consensus solution to achieve the objective I think we all want to achieve, and that is a secure and safe border for our country and for our citizens.” Steny, you ought to go read Farhad Manjoo today in the New York Times advocating for no borders and suggesting a Democrat can win everything by adopting it. You ought to go read that. Anyway, he's a Democrat, Steny Hoyer, Pelosi's number 2! “I think to come up with a consensus solution to achieve the objective I think we all want to achieve, and that is a secure and safe border for our country.” Well, that sound bite made the rounds of a bunch of other cable news shows, including today on America's Newsroom. Sandra Smith was talking to Matt Schlapp, the American Conservative Union chairman, about Hoyer's comments last night. Sandra Smith said, "He said it's not an immorality. He suggests border walls, in his words, work." SCHLAPP: You know, Sandra, the dirty little secret is that there are a lot of divisions amongst Democrats. Steny Hoyer does not like Nancy Pelosi, and that came out in this interview. And the facts also came out. We have something like 690 miles of border protection on our southern border. Half the border already has walls, fences, and barriers. All the president's saying, let's add some 200 miles to that. It's actually a pretty modest proposal. And even when Nancy Pelosi said that I can't handle, for some crazy reason, the idea of cement, which is a part of all buildings everywhere on the globe, he said, "Okay. We won't do cement. We'll do American steel." 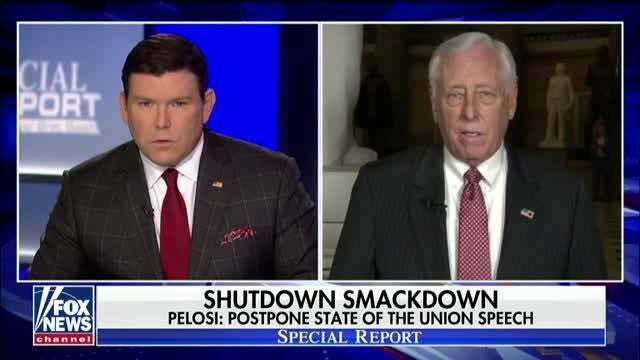 RUSH: Steny Hoyer, according to Matt Schlapp, does not like Pelosi at all, went so far as to say that he hates her guts. He has been fighting her for decades, that they have an acrimonious relationship. It's never covered by the media. That's true. It isn't. I hear this, and I ask, “Well, if it's so acrimonious, why does she put up with him as number 2?” She wouldn’t have to. I am not disbelieving Matt Schlapp. No way. But I just want to tell you, you remember -- you may not. I remember the day that the Democrats celebrated the signing of Obamacare. They had the ceremony at the White House, and they had a bunch of buses up on Capitol Hill. They were gonna take a bunch of Democrat members of Congress up there to the White House to participate in the signing ceremony. Debbie "Blabbermouth" Schultz was running around, she was exulting, she was so happy, she couldn't even stay on the bus. She kept getting on the bus and getting off the bus, posing for every camera that she could find, just excited as she could be. Steny Hoyer, on the other hand, did not look like he was feeling celebratory at all. Now, this had nothing to do with Pelosi other than the fact that she had spearheaded it through the House. But it was clearly Obama's deal. She was running around, Pelosi, "Affordable health care for all Americans." She's a doofus. She didn't even know what it was gonna cost people. She had no clue. Affordable health care for all. But Steny Hoyer did not look like he was all-in. Now, that's just a facial expression. Maybe he looks like a mummy all the time. I don't know. But he did not look like he was into this. And I did not know until Matt Schlapp said last night that Hoyer and Pelosi do not get along. That was also news. RUSH: Rush Limbaugh, a guy in a golf shirt in Palm Beach who the left thinks is running the country. Another story at TheHill.com today alleging that I am running the country, that I could end the shutdown, that I am responsible for it. I think we're into week four of this now and there's even more evidence. But I want to get started on the phones, get that done in the first hour today. Becky in Tucson, you're next. It's great to have you. Hi. RUSH: Good today. Thank you very much. RUSH: So wait a minute. That's a lot of people. Wait a minute, Becky, Beck, that's a lot of people. Why do you think this speech needs to happen? Where should it take place? CALLER: We don't need the Democrats there. We can just stack it with people that are Americans. RUSH: I know, but you're gonna need a stadium for this with the number of people that you want to be there. CALLER: No. I just think that, I know they get to invite people when they do the State of the Union speech, I think the most important people they should be inviting is the American people. We are the most important people. RUSH: Well, that's a good point. TIME magazine said that they are the most, they were the people of the year, journalists were people of the year. About this, Mark Meadows, who is a congressman, Republican, North Carolina, tweeted yesterday that Pelosi invited -- did you hear about this? -- Pelosi already invited Trump to do the State of the Union back on January 2nd or 3rd, and, of course, the Drive-Bys are not reporting that, but she's already invited him. Now she's rescinding the invitation under the guise there isn't security. If there's not sufficient security, then why is the House open now? I mean, they're conducting business in the House of Representatives now, which is where the State of the Union show is, and the Homeland Security director, Kirstjen Nielsen said don't sweat it, we can secure the place, shutdown or no shutdown. This is pure power politics. This is Pelosi essentially treating Trump like he's a chump. That's all this is. This is an open show of insolent disrespect because, A, I think she feels that genuinely. It's also a production for the rabid Democrat base. Trump has his options. He can, like I suggest any week, go anywhere to do this speech and he may as well put a bunch of friendly people in the audience and take advantage of the bully pulpit that it would afford him to inform and educate people. I wouldn't do it like a rally. I would differentiate it from a Trump rally. I'll still introduce him. I'm not withdrawing my invitation to do that if that would be something that would fit. I don't know that it would. But I'm just suggesting that there's any number of ways he could do this and maintain the stature that people associate with State of the Union addresses or presentations. Maybe a combination of the rally format. But I wouldn't go full-fledged rally. I would save those for what they are. Those are campaign things. This should be treated as a genuine State of the Union. And then open up and tell everybody the truth about the State of the Union and tell everybody what's good and what's bad and who's threatening us and how and why and what are the greatest objectives that we need to accomplish and what's standing in our way. You know, do a legitimate State of the Union. But don’t go up there and do a laundry list of “Here's what I want to spend money on. Here's how I'm gonna buy your vote. This how I'm gonna buy your vote. This is the cancer I'm gonna cure here, and this is the blindness I'm gonna cure over there, and the paralysis I'm gonna cure next.” Don't do any of that. Do a genuine, legit State of the Union. 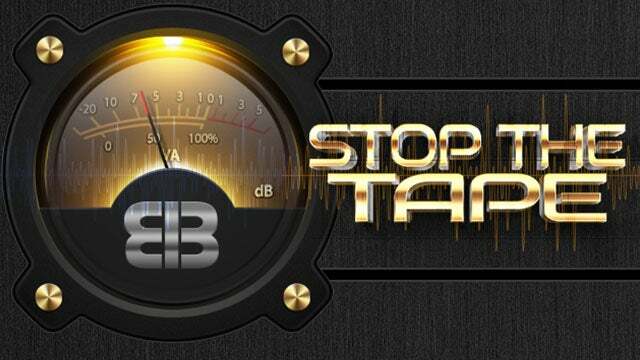 RUSH: Rush Limbaugh, laundering information for the masses. That's what I am, folks, an information launderer. Minor correction. Steny Hoyer runs for the leadership position of the House. Pelosi can say nothing about it. He often wanted to be Speaker, but imagine if there were some discord like that in the GOP. Do you think you'd know about it?